A collection of some of the craziest, mind-bending, and entertaining images on the web. Women with four arms, children who walk on water, pigeons the size of ten-story buildingsthough we know these things aren’t possible in the real world, a quick glimpse at the right photograph may temporary convince you otherwise. Steven Estep, one of the brains behind the popular visual illusion website, MOIllusions.com, understands how these eye tricks work better than most. 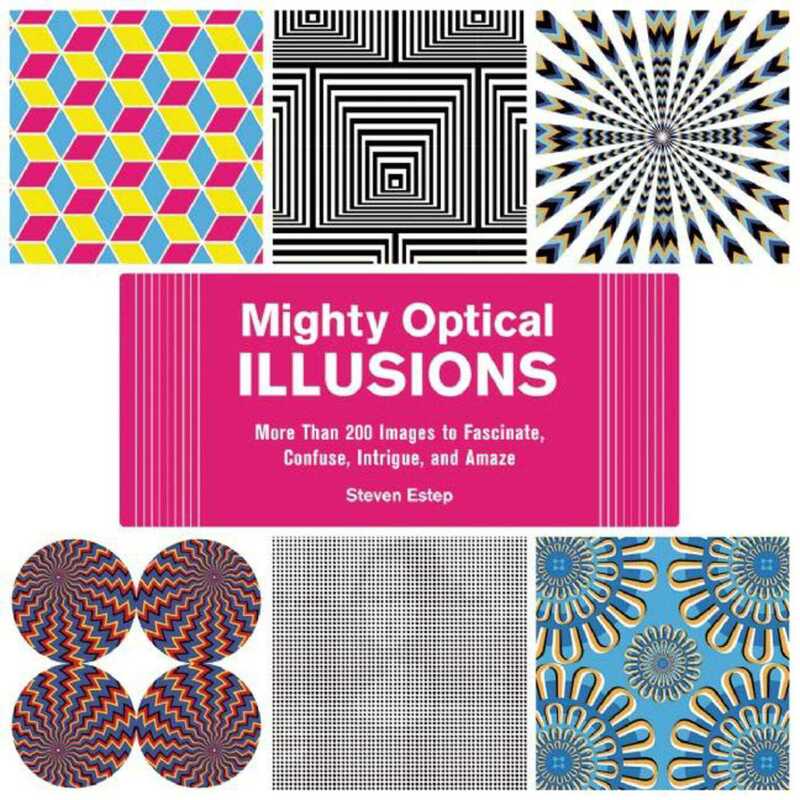 In Mighty Optical Illusions, Estep presents more than two hundred photographs, drawings, sculptures, and paintings that may make you scratch your head, squint your eyes, and doubt yourself. These images are known as optical illusionsitems that deceive the eye by appearing to be other than they really are. Optical illusionswhether they are scary, dizzying, confusing, or trickycan provide hours of fun and entertainment for the whole family.